If Almaty is the queen of Kazakhstan, Shymkent is the eager lady-in-waiting. Situated on a junction connecting Tashkent with the rest of Kazakhstan, Shymkent is a vibrant traders town. But the surroundings are the star attraction. Where Almaty has apples, Shymkent has tulips: in spring, millions of wild tulips blanket the meadows of the mountain range straddling the border with Uzbekistan. Two national parks are dedicated to protecting the rare tulips that originate here, also serving as sanctuary for bears and snow leopards, along with their prey. The area is also a top-class birding spot. 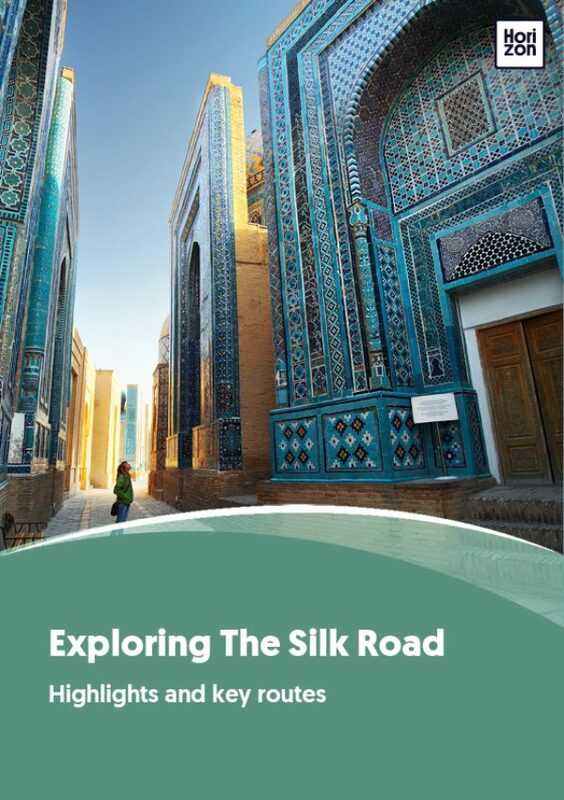 Central Asia’s take on Islam has never been particularly orthodox, and Kazakhstan’s Sufi heritage is on full display at Turkistan. Join the faithful and the cultish, as they circle the mausoleum and tour the desert’s holy shrines. Aksu-Zhabagly, in the mountains south of Shymkent, has excellent guides and a pioneering homestay programme that will see you overwhelmed with well-intentioned Kazakh cooking. The amazing fauna and flora is, however, the real reason to visit and you should try to time your trip to coincide with the blossoming of tulips. It is nothing short of a dream to see wild horses roam across the rainbow fields during April and May. North of Shymkent, the monumental mausoleum of Khoja Ahmed Yasawi towers out above Turkistan, providing a clear link to the architecture in nearby Uzbekistan. Numerous other Sufi mausoleums dot the desert. After prayer time, you can visit the ruins of former oasis towns at Otrar and Sauran. In a country that is still recovering from the collapse of the Soviet Union when entire life savings were wiped out, no rural folk put any faith in the country’s banks. Instead, they put their money where their mouth is -- literally. Expect to see a lot of golden smiles. In nearby Taraz, the decisive Battle of Talas was fought in 751 AD between Chinese and Arab forces. The Arabs won, and stopped the westward expansion of China henceforth. In the aftermath, they even stole the secret of papermaking. The Shymkent region has been a trade hub for thousands of years. Its bazaars are still some of the liveliest, colourful and most overflowing markets of the Silk Road. Shymkent is located at a crossroads between trade routes verging north-south as well as east-west. Including time spent at the border crossing, Tashkent is three hours from Shymkent by car. Turkestan and Zhabagly are both less than two hours drive from Shymkent on perfect tarmac. Shymkent is connected to Almaty and Astana by several flights a day--the trip takes around 1.5 hours. Train lovers will relish the overnight trains, taking around 12 hours for the journey. Rather than figuring out the bus system, taxis are an easy and affordable alternative inside towns and cities. You can hail passing cars, talk to loitering men or use ride-hailing apps like Uber or InDriver. Cost should be around $1.